So Spooky Ghost is featured in the Rockwood Music Hall Newsletter this week and there is a chance to win some free tickets ! 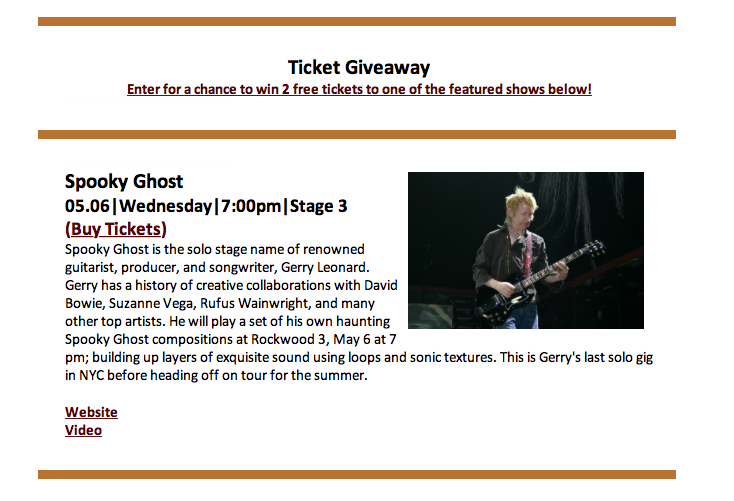 This entry was posted in News and tagged Gerry Leonard, gerryleonard, gerryleonardgear, Rockwood Music Hall, Spooky Ghost, spookyghost. Bookmark the permalink.